You and your child will ride on the “Old Brass Wagon” and “Merry Go Round,” create stick rhythms to “Stick Tune,” and join along in jamming kitchen instruments in “Playin’ in the Kitchen” — just to name a few of the many wiggly and well-loved songs in this collection. In addition to your weekly 45-minute classes, your tuition includes materials for your family to use at home and on the road and a newsletter full of resources and music-making ideas. 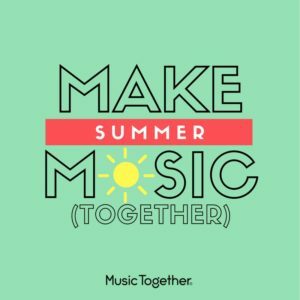 Continue your musical journey with your child or get started this summer!